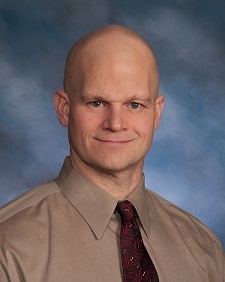 AITC is pleased to announce the addition of MARK HALL, MS, PT, ATC, OMT, CSCS, OCS to our staff! Mark brings an exceptional skill set and over 20 years experience as a PHYSICAL THERAPIST. Mark will begin seeing patients in January 2018. AITC’s addition of Mark adds to the powerhouse of keenly honed skills and years of practical, hands-on experience all conveniently located in one office to help you feel your best! Mark earned his Physical Therapy degree in 1995 from the University of the Pacific in Stockton, California. He earned a Bachelor of Science in Athletic Training degree from the University of Nevada, Las Vegas in 1991. During that time, he helped work with the division I athletic teams (mostly football, but also with women’s softball, swimming, and baseball) as a Student Athletic Trainer. He then went on to serve as Head Athletic Trainer at Kishwauee College while working on a Masters degree in Exercise Physiology at Northern Illinois University. He put those on hold after one year after being accepted to Physical Therapy School. Mark has over 20 years’ experience as a Physical Therapist and 29 years working in the field. Mark is the former owner of TrainingZone Physical Therapy, which was in operation from 2005 to 2013. He has completed a two-year residency in Orthopedic Manual Therapy from the Institute of Orthopedic Manual Therapy which is affiliated with Mass General and Boston University. In 2005, he became a Certified Strength and Conditioning Specialist through the National Strength and Conditioning Association. He is also an APTA certified Orthopedic Clinical Specialist, as well as trained in Graston technique and functional dry needling. Outside of work, Mark enjoys spending time with his family. His wife Cathy, son Jacob, daughter Jordan and his dogs. A former competitive body builder and champion powerlifter, he loves to stay active.